The Timbers Resort is an all season, pet friendly, resort vacation destination in Michigan's Western U.P.! Located on beautiful Lake Gogebic in the Upper Peninsula of Michigan. Join us for some of the fun things we do in Michigan's U.P. Snowmobiling, ATV 4 wheeling, open water and ice fishing for perch, walleye, northern pike, and small mouth bass, black bear hunting, deer hunting, world class grouse hunting, down hill skiing, cross country skiing, hiking trails, waterfalls, and fall colors or just relax and enjoy the slow pace of Michigan's U.P. 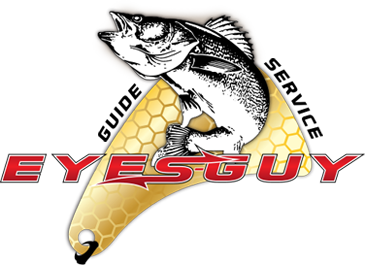 THE TIMBERS RESORT IS OPEN 365 DAYS A YEAR, INCLUDING OUR BAIT AND TACKLE STORE. COME AND CHECK US OUT. PLEASE CONSIDER BECOMING A MEMBER OF MICHIGAN SNOWMOBILE ASSOCIATION (MSA) AND ALSO ONE OR MORE OF OUR 3 LOCAL GROOMING ORGANIZATIONS. TIM AND I RECENTLY JOINED THE MSA BOARD, I AM ALSO ON THE EXECUTIVE COMMITTEE, WE ARE MEMBERS OF GOGEBIC AREA GROOMING - TIM IS ON THE BOARD AND I AM A VOLUNTEER, WE ARE MEMBERS OF GOGEBIC RANGE TRAIL AUTHORITY AS WELL. YOUR MEMBERSHIPS WILL KEEP OUR TRAILS OPEN IN THE AREA, AND ENABLE US TO KEEP SNOWMOBILING IN THIS BEAUTIFUL AREA. PLEASE CALL US FOR DETAILS OR GO TO THE MSA WEBSITE. We are located within less than a minute of Gogebic Outpost gas station/convenience store, Antonio's diner restaurant, JW's BBQ & Brew, Bergland Bay Bar, ATV & Snowmobile Rentals, Park, Boat Landing and more! During the winter we offer trail access to the main trails that hub in Bergland plus we have 300 feet of lake frontage. Come and experience the North Woods feeling while still being close to many amenities.We invite you to come and vacation on Lake Gogebic, Michigan's largest inland lake, lies at the far western end of the U.P. 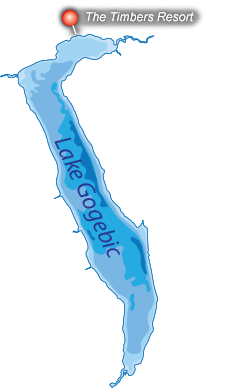 With abundant opportunities for fishing, hiking, hunting, ATV 4 wheeling, and winter sports, Lake Gogebic is a four-season vacation gem that - for all its attractions - retains the peaceful atmosphere of a small Northwoods community, untroubled by traffic and crowds. There are over 550 miles of ATV trail riding to enjoy with more being added by MI-trale.org regularly.